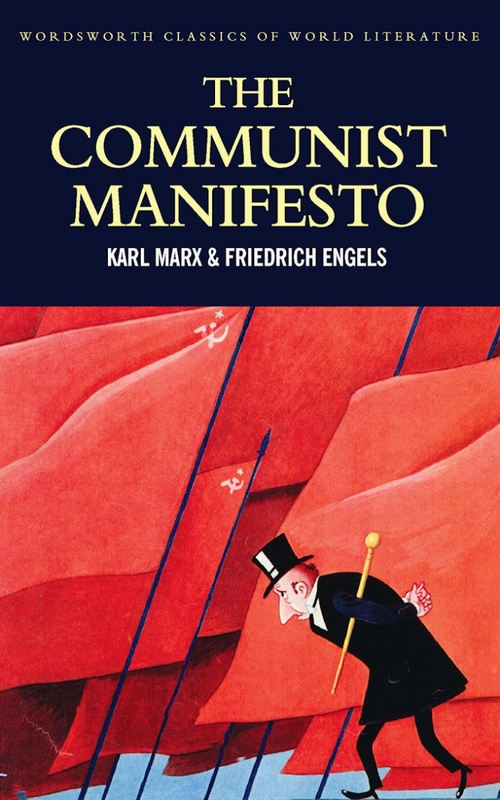 It is politically restorative to look with a fresh eye at The Manifesto of the Communist Party (to use its original title), written before Marxism was overlaid by reformist, postmodernist, spiritual, and psychological commentaries. 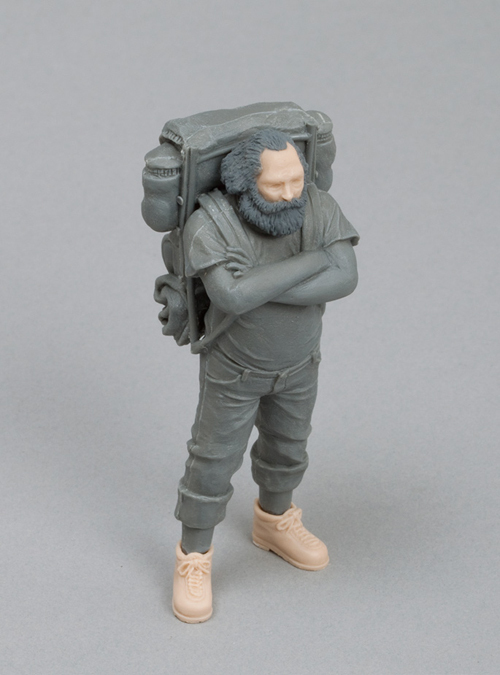 From an examination of this work on its own terms, what emerges is that it is not a “text” intended to be served up for academic deconstruction and convoluted exegesis but rather the manifesto of a party that challenged the existence of capitalist social relations and their underlying class base. 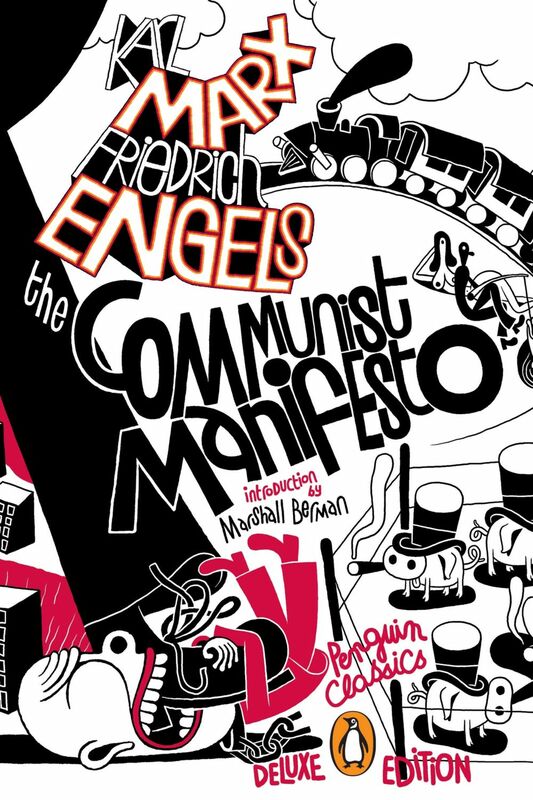 The Manifesto directly faced the exploitative social order of its time and intended to move a class—the proletariat—to revolutionary action against it. 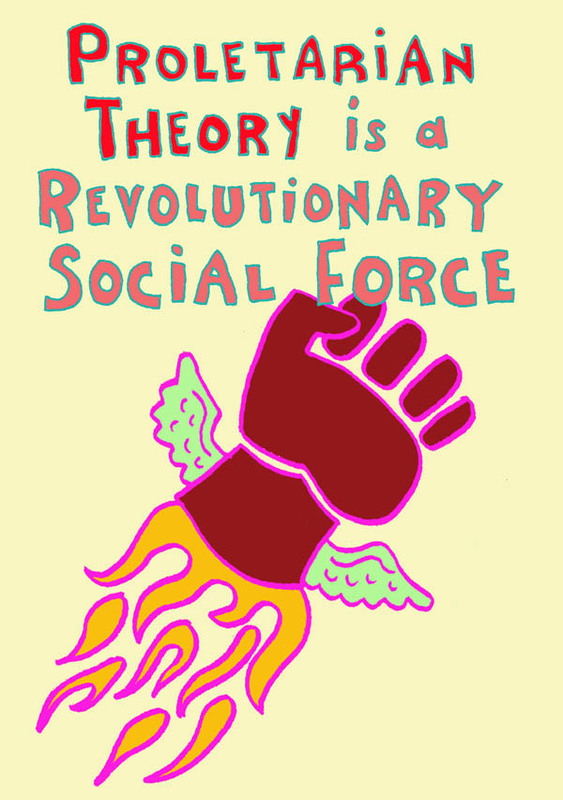 Bringing theory to the service of building a movement, as Marx and Engels did—indeed, they perceptively interwove basic analytical ideas with programmatic and organizational issues—is becoming alien in the present era, which is sharply dichotomizing the two. To be sure, the existence of “Marxology” as a university discipline today, with its own professoriat and journals, as distinguished from a living practice, is not an entirely unprecedented phenomenon. Kautsky, among others, already began to make this dichotomy as editor of Die Neue Zeit in the 1890s. But Die Neue Zeit, at least, was the theoretical organ of a mass movement that mobilized hundreds of thousands of people on the German political scene. It was not until recent decades that strictly scholarly Marxian journals appeared that exhibited few or no political intentions and hence provided no basis for a practice engaged in transforming society. The divorce between theory and practice—and the failure of avowed leftists to build a revolutionary public sphere in the past few decades—has led to the debilitation of theory itself, as witness the current acceptance of postmodernist nihilism, Situationist aestheticism, and quite recently, even Eastern spiritualism among a number of self-professed Marxists. By contrast, the most refreshing feature of The Manifesto as a theoretical document is that it candidly and unabashedly addresses lived social relations, not simply their cultural offshoots. Its stylistic magnetism, which made it the inimitable model for so many later programmatic statements by revolutionary movements, lies precisely in its bold candor about the material factors that guide human behavior. Far more than Nietzsche, Marx (who seems to have penned most of The Manifesto) wrote with a hammer about the realities of the capitalist system that were emerging in his time. The famous opening line—“The history of all hitherto existing society is the history of class struggles”—is arrestingly declarative, allowing for no equivocation. Published in a limited German edition of 800 on the eve of the 1848 February Revolution in France, The Manifesto synthesized generations of reflection on the root causes of social injustice and conflict. As Marx himself freely acknowledged, the importance that it attaches to class struggles was not new to revolutionary thought. It can be traced back to the Levellers of the English Revolution and even to Lollards such as John Ball in the English Peasant War of the 14th century. Having no direct impact upon the events that made up the stormy year of 1848, The Manifesto nonetheless left a lasting imprint upon subsequent working-class movements, providing a definitive standard by which their revolutionary intentions were to be judged. And it placed upon every subsequent revolutionary movement the obligation to make the oppressed conscious of their status—that is to say, to inculcate among the exploited a deep sense of class consciousness and to urge them to abolish class society as such. Pounded out as it was, the opening line of The Manifesto—unadorned and unequivocal—immediately fixed the Communist League (for which it was written) as an overtly revolutionary movement. Thereafter, socialist organizations and movements that professed to seek justice for the oppressed had to validate their standing with the emerging working class in its conflict with the bourgeoisie. After the publication of The Manifesto, class struggle was taken for granted among such movements, even if they sought to achieve socialism in peaceful and piecemeal ways by making compromises between workers and capitalists. Moreover, Marx’s opening line announced that The Manifesto would not obfuscate the real social relations that make up capitalism. Capitalism, The Manifesto went on to emphasize, is an unrelentingly exploitative economy that is driven by its competitive relations to colonize the entire world and to bring social life as such face to face with the question of its very ability to survive in the absence of a communist society. Today, when reformism permeates most of the political thinking that goes under the name of leftism, we would do well to recall that Marx and Engels warned, a century and a half ago, that “the bourgeoisie is unfit any longer to be the ruling class in society, and to impose its conditions of existence upon society as an over-riding law,” indeed, that “its existence is no longer compatible with society” (pp. 495, 497). The bourgeoisie cannot exist without constantly revolutionising the instruments of production, and thereby the relations of production, and with them the whole relations of society. . . . Constant revolutionising of production, uninterrupted disturbance of all social conditions, everlasting uncertainty and agitation distinguish the bourgeois epoch from all earlier ones. All fixed, fast-frozen relations, with their train of ancient and venerable prejudices and opinions, are swept away, all new-formed ones become antiquated before they can ossify. All that is solid melts into air, all that is holy is profaned, and man is at last compelled to face with sober senses his real conditions of life, and his relations with his kind. These lines were written a century and a half ago, when capitalism was hardly the prevalent social order on the European continent, although it had made great inroads into Britain and its ultimate ascendance in France and Germany was foreseeable. Industrial capitalism on the European continent was still embedded in a mixed economy—partly bourgeois, partly feudal, and largely peasant. Nearly all cities were still compact entities, crowded with winding medieval streets and surrounded by walls, and everyday commodities were still fashioned by the hands of skilled artisans. The winter of 1847-48 was still the inception of the bourgeois epoch, not its high point, let alone its end, and the words globalization and multinationalism were unheard of, even as The Manifesto described similar phenomena. The predictions in this passage might have been dismissed as fanciful visions, had they not been placed in the context of The Manifesto, which gave them an historical as well as an educative meaning that previous accounts of capitalism (a word that was still new) had lacked. These lines demonstrate the power of theory to project itself beyond given conditions into the future—and the theoretical projections of Marx and Engels here became glaring realities many generations later, although remaining unfulfilled even into the new millennium. 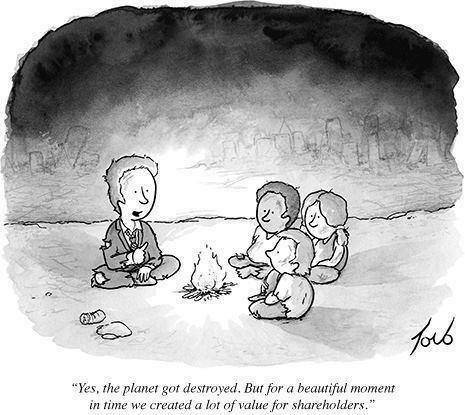 Paramount is the salient reality that capitalism is the uncontrollable work of historical “sorcery”—a system of production for its own sake—that, while it exists, must eat away at the natural world and drastically remake the planet, probably to the detriment of all life-forms, including human beings. Without a revolutionary change, its drive as a transformative system—a society that runs on its own, beyond even the control of the bourgeoisie itself—may be modified but cannot be arrested. No “discourse” on the theoretical or programmatic issues of The Manifesto can be meaningful unless it addresses the need for the formation a “revolutionary movement against the existing social and political order of things” (p. 519). “The theory of the Communists,” as The Manifesto declares, “may be summed up in the single sentence: Abolition of private property” (p. 498)—or equivalently, abolition of capitalism, without any reservations. For a communist movement to fall short of this goal, as Marx and Engels understood, would be, not to “approximate” it or to “realistically” modify it, but to abandon it altogether. As the authors of The Manifesto were to write in their address to the Communist League after the events of 1848-49, reforms could validly be demanded, but only as a means to ratchet up greater demands that would be impossible for the existing social order to satisfy and that thus would lead to an armed confrontation with the bourgeoisie over the very structure of society. Nor were the readers of The Manifesto in those years—and not even for a generation later—members of the industrial proletariat, to whom the document was addressed. By far the great majority of workers who could understand its message were artisans who aspired to the right to “associate” (in craftlike mutualistic brotherhoods or industrial trade unions) and, among the most advanced workers, to the right to “organize work” cooperatively. This artisanal or associative socialism, as historians have called it, was more cooperative than communistic, rewarding the members of associations according to their work rather than according to their needs. By contrast, The Manifesto of the Communist Party made a dramatic leap, unequalled by any contemporary socialistic document. It showed that communism was not merely an ethical desideratum for social justice but a compelling historical necessity, flowing out of the very development of capitalism itself. This leap was reined in by its ten-point minimum program, largely the work of Engels. With its moderate demands, it seems to have been designed for the German workers’ movement, which was still allied with the middle classes against the aristocracy. Hence even the most socialistic of the ten demands, the seventh, prudently called for the “extension of factories and instruments of production owned by the state” rather than the collectivization of the economy (p. 505). In a long-range perspective, part II of The Manifesto projected the concentration of all productive facilities, including the land, in the “hands of a vast association of the whole nation” (p. 505). Actually, this last phrase, “a vast association of the whole nation,” was specific to the English translation; the original German spoke of “associated individuals,” a somewhat Proudhonist formulation that would have made the document more acceptable in Germany at the time. Political power [the state], properly so called, is merely the organised power of one class for oppressing another. If the proletariat in its contest with the bourgeoisie is compelled, by force of circumstances, to organise itself as a class, if, by means of a revolution it makes itself the ruling class, and, as such, sweeps away the old conditions of production by force, then it will, along with these conditions, have swept away the conditions for the existence of class antagonisms and of class generally and will thereby have abolished its own supremacy as a class. In place of the old bourgeois society with its class and class antagonisms, we shall have an association, in which the free development of each is the condition for the free development of all (pp. 505-6). The Communists who try to achieve these aims, says the document, have no interests “apart from those of the proletariat as a whole” (p. 496). They constitute the most resolute party in the struggle for promoting the welfare of the proletariat, but always viewing the contours of the struggle as a whole, they “everywhere support every revolutionary movement against the existing social and political order of things.” Indeed, they always bring to the front “as the leading question in each [struggle], the property question, no matter what its degree of development at the time” (p. 519). Given its analysis of capitalism as a doomed social order within which reforms must always be placed in the service of revolution; its resolute commitment to (generally violent) revolution; its view of communism as an associative rather than a state system “in which the free development of each is the condition for the free development of all,” it is only fair to ask what Marx and Engels meant by “political power” in 1847-48. The answer—idiosyncratic in the light of what the two men were to write in later years—is surprisingly libertarian. This can hardly be called a state in either the usual Marxian or the social anarchist sense of the word. In fact, the implications of this extraordinary formulation have vexed even the ablest of socialist theorists, anarchist as well as Marxist—and they dogged Marx and Engels themselves as a problem up to the last years of their lives. How could an entire class, the proletariat organized as a “movement” that would eventually speak for society as a whole, institutionalize itself into a “political” (or state) power? By what concrete institutional forms would this class, whose revolution in contrast to all previous ones would represent “the interest of the immense majority” (p. 495), exercise its economic and political sovereignty? Until the Paris Commune of 1871, Marx and Engels probably intended for the “political power” that the proletariat would establish to be nothing more than a republic, that is, a representative form of government, albeit one rooted in political rights such as recall. Anarchist critics of Marx pointed out with considerable effect that any system of representation would become a statist interest in its own right, one that at best would work against the interests of the working classes (including the peasantry), and that at worst would be a dictatorial power as vicious as the worst bourgeois state machines. Indeed, with political power reinforced by economic power in the form of a nationalized economy, a “workers’ republic” might well prove to be a despotism (to use one of Bakunin’s more favorite terms) of unparalleled oppression. Marx and Engels had no effective response to make to this criticism, as we can tell from their correspondence with their German supporters. Nothing in their writings shows that they gave any serious regard to the “assemblyist” tradition established by the Parisian sections during the Great French Revolution, in which the sans culottes, including the poorest and most dispossessed in the French capital, actually exercised collective power in their neighborhood assemblies during the stormy period between the August journée of 1792, which eliminated the monarchy, and the June journée of 1793, which nearly replaced the Convention with a communalist system of administration under sectional control. This tradition, which lingered in France through most of the 19th century, found no echo in the Marxist literature. The economic achievements of the Commune were very limited; not only did it fail to socialize the economy, it brought much-needed reforms to the working class only because the more radical Internationalists, who formed a minority of the Communal Council, had to overcome the obstruction of the neo-Jacobins, who supported bourgeois legalities. In its political institutions the Commune was much more of a municipalist entity, with strong affinities to anarchist notions of a confederation of communes. It essentially challenged the existence of the French nation-state, calling upon the thousands of communes that dotted France to unite in a Proudhonist contractual network of autonomous communes rather than subject themselves to a centralized state. Marx embraced this municipalist Commune, and in substance its call for a confederation of communes (without using the compromising word confederation, which his anarchist opponents employed), as a political structure in which “the old centralised government in the provinces” would, following Paris as a model, “have to give way to the self-government of the producers”—presumably a proletarian dictatorship. Each delegate from the various communes would be bound “by the mandat impératif (formal instructions) of his constituents,” a strictly anarchist concept that reduced a delegate from a parliamentary representative or deputy to a mere agent of the people, in whose voice he was expected to speak and vote. Marx’s assertion that the central government would retain “few but important functions” was brave but hardly credible—and even James Guillaume, one of Bakunin’s closest associates, regarded Marx’s favorable appraisal of the Commune’s libertarian features as the basis for a reconciliation between Marxists and anarchists in the First International. Engels, in an 1875 letter to August Bebel criticizing the Gotha Program (which had just been adopted by the German Social Democrats), even urged that instead of “People’s State,” the program use a “good old German word,” Gemeinwesen, “which can very well do service for the French ‘Commune,'” although he said little about its substance. In time, and not without vacillation, Marx went back on his favorable account of the Commune. There is little doubt that he returned to the support for republican institutions that had marked his political views in the aftermath of the revolutions of 1848. In the last years of his life, without saying much on the subject of the Commune, he clearly still favored incorporating into the republic many of the features—the pay scale for deputies, the right to recall, the need to arm the working class, and the mandat impératif-–that he had praised in The Civil War in France. But the extent to which he thought a worker’s state should be centralized and how much authority he thought it should enjoy remained unanswered questions upon his death. Republican institutions, however much they are intended to express the interests of the workers, necessarily place policy-making in the hands of deputies and categorically do not constitute a “proletariat organised as a ruling class.” If public policy, as distinguished from administrative activities, is not made by the people mobilized into assemblies and confederally coordinated by agents on a local, regional, and national basis, then a democracy in the precise sense of the term does not exist. 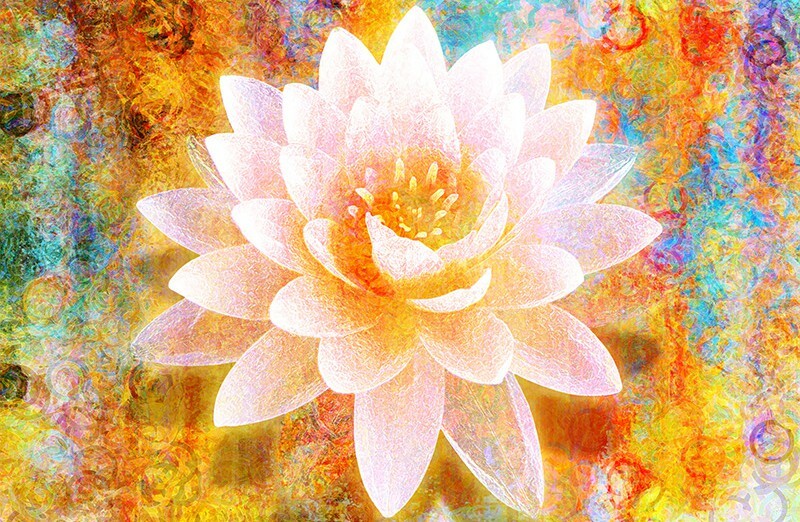 The powers that people enjoy under such circumstances can be usurped without difficulty. Some anarchists will always find fault with any form of institutional social organization, but if the people are to acquire real power over their lives and society, they must establish—and in the past they have, for brief periods of time established—well-ordered institutions in which they themselves directly formulate the policies of their communities and, in the case of their regions, elect confederal functionaries, revocable and strictly controllable, who will execute them. Only in this sense can a class, especially one committed to the abolition of classes, be mobilized as a class to manage society. 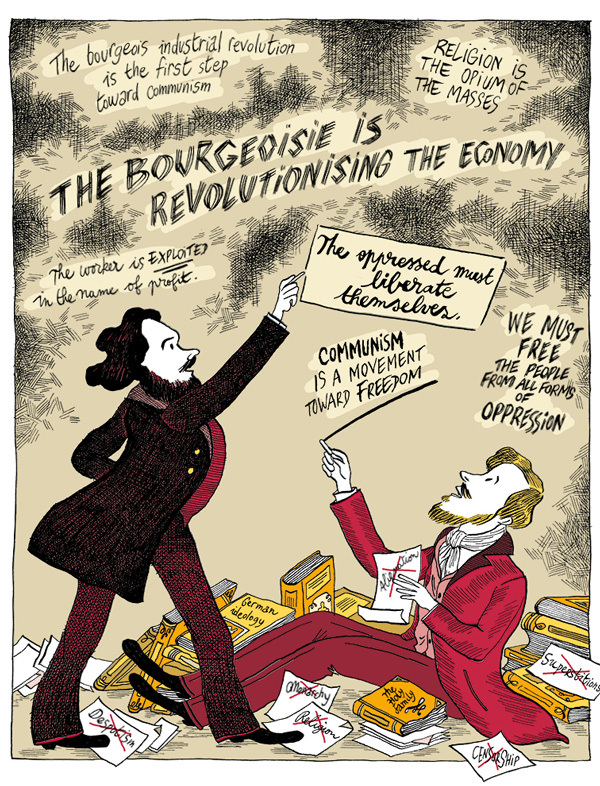 Apart from their writings in erstwhile support of the Paris Commune, neither Marx nor Engels ever resolved the problem of the political institutions for proletarian rule that they set for themselves in The Manifesto: the problem of how a class, still less the mass of the people in bourgeois society, will take over the reins of power as a class or a people. In 1905 the Russian workers came up with their own solution to the question of a political institution for class power: the Petrograd Soviet. This city-wide soviet, which emerged in the Russian capital in the 1905 Revolution, was an approximation of the assemblies that had appeared in the Great French Revolution. 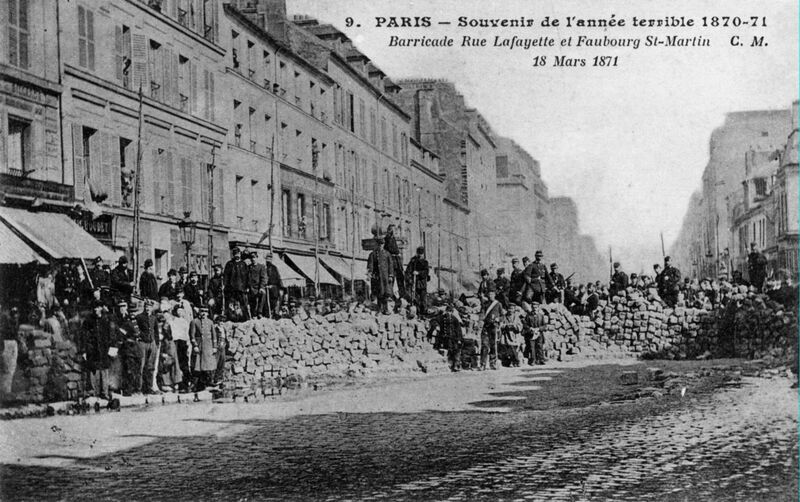 Had it remained merely a municipal council, it would have differed little from the Paris Commune, although it was much more working class in character. But the Petrograd Soviet also sank deep roots in the city’s factories and was guided, through strike committees and shop committees, directly by the workers themselves. More than Lenin, it was Leon Trotsky, one of its last and certainly its most prominent chairmen, who saw in the soviet not only the institution that could mobilize the proletariat as a class but provide the transitional political and economic bridge from a capitalist to a socialist society. Lenin’s view of the soviet was more instrumental: he regarded it merely as a means for educating the working class and enlisting it in the service of the Bolshevik party. Not until 1917 did Lenin decisively change his view about the soviets and come to regard them as institutions of working-class power. Even so, he wavered during the July events, when the Bolshevik leaders were imprisoned as a result of a premature spontaneous insurrection, but by the autumn of 1917 he had returned to the goal of a soviet government. For a time he suggested that a soviet government might include all the soviet parties—Mensheviks and Socialist Revolutionaries of all kinds as well as Bolsheviks—but by the end of 1918, the Bolsheviks ruled the newly established soviet state entirely alone and eventually turned the soviets into docile instruments of their party apparatus. The question of the institutions of political and social management by a class as a whole—and eventually by citizens in a classless society—has no easy resolution. Plainly it is not answered adequately by Proudhon’s system of federalism, which is too incoherent and vague and retains too many bourgeois features, such as contract and individual proprietorship, to provide a truly revolutionary solution. The solutions that later anarchists, more collectivist than the Proudhonists, offered are pregnant with possibilities, but they too suffer from a lack of definition and articulation. For their part, anarcho-syndicalists have offered workers’ control of industry as the most viable revolutionary alternative to the state, adducing the takeover of factories and agricultural land as evidence of its feasibility. An adequate account of its possibilities and limitations would require another article. But as social elements for a liberatory society, workers’ control has basic problems—not only their parochialism and the highly visible decline in numbers of the manufacturing working class but most especially their tendency to turn into competitive collectively owned capitalistic enterprises. Mere economic control of plants and factories is only one side of the coin of a revolutionary transformation, a lesson the Spanish anarcho-syndicalists learned only too dramatically in 1936-37, when, despite the greatest collectivization experiment in history, they failed to eliminate the bourgeois state—only to find that it returned in May 1937, forcibly demolishing the powerful anarchist enclaves in Catalonia and Aragon. What seems necessary are the institutions of a democratic politics—to use the word politics in its Hellenic sense, not as a euphemism for modern-day Republican statecraft. I refer to a politics that would create local assemblies of the people and confederate them in purely administrative councils, in order to constitute a counterpower to the nation-state. How such a counterpower could be established and could function falls outside the province of this article; far too many important details, both historical and logistical, would be lost in a brief summary of this “assemblyist” position. That the issue of the institutions of class rule was even raised in The Manifesto of the Communist Party is one aspect of the document that makes it as living in 1998 as it was in 1848. 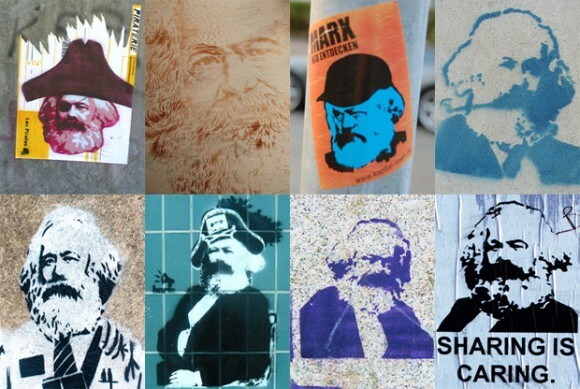 That Marx and Engels, with their theoretical depth, foresaw the trajectory of capitalist development, in terms that are even more relevant today than in their own day, would be enough to make the work a tour de force in the realm of political thought. Both its great insights and its vexing problems live on with us to this day. 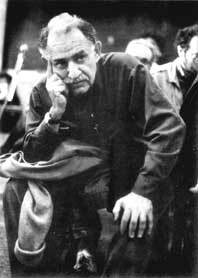 The tragedy of Marxism is that it was blind to the insights of social anarchism and that later revolutionaries failed, at crucial moments in history, to incorporate the insights of both forms of socialism and go beyond them. 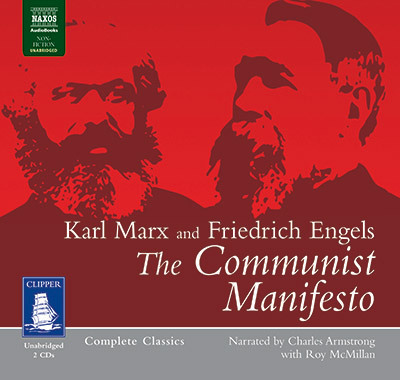 Karl Marx and Friedrich Engels, The Manifesto of the Communist Party, in Collected Works, vol. 6 (Moscow: Progress Publishers, 1976), p. 482. All citations from The Manifesto herein are drawn from this translation, giving page numbers. The Manifesto’s case for the bourgeoisie’s ultimate inability to take custody of social life rested on its “pauperization” of the proletariat—the famous “immiseration” thesis on which volume 1 of Capital was to conclude. With the later emergence of welfare states a-nd their ability to manage crises, capitalism seemed able to prevent itself from sinking into a deep-seated economic crisis, causing this notion of “immiseration” to seem questionable. 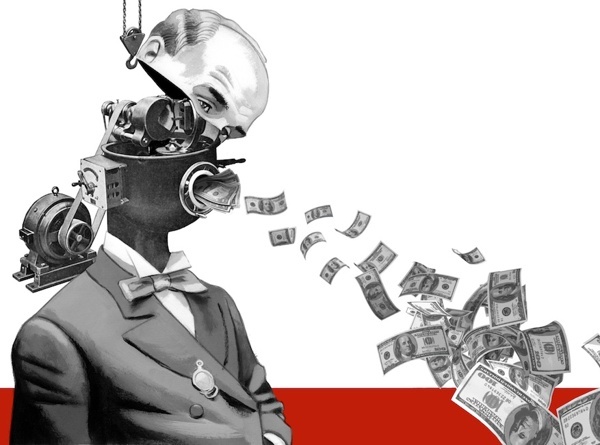 But the volatility of modern, “neo-liberal” capitalism and the erosion of its methods for crisis management have brought into question the ability of capitalism to be a self-correcting system. It is far from clear that, in the years ahead, economic collapse (as well as ecological disasters) will be avoided. Capitalism is still very much in flux, and The Manifesto’s warnings about “anarchy in production” can by no means be ruled out as a source of massive social unrest. Karl Marx, Critique of the Gotha Programme in Marx and Engels, Collected Works, vol. 24, p. 95; emphasis in the original. Karl Marx, The Civil War in France, in Marx and Engels, Collected Works, vol. 22, 331. Engels, “Letter to August Bebel, March 18-28, 1875,” in Marx and Engels, Collected Works, vol. 24, p. 71. See Marx’s letter to Ferdinand Domela Nieuwenhuis, February 22, 1881, in Marx and Engels, Collected Works, vol. 46, pp. 65-66. My full assessment appears in “The Ghost of Anarcho-Syndicalism,” Anarchist Studies, vol. 1 (1993), pp. 3-24. For a revolutionary politics by which people can manage their affairs through direct—democratic popular assemblies in confederations—or what I have called libertarian municipalism—the reader may care to consult my book From Urbanization to Cities (London and New York: Cassell, 1996) as well as Janet Biehl’s The Politics of Social Ecology: Libertarian Municipalism (Montreal: Black Rose Books, 1997). Recent theories of “strong democracy” and the like presuppose the existence of the state and tend to defer to the notion that present-day society is too “complex” to permit a direct democracy, thereby offering no serious challenge to the existing social order. It is impossible to bring about beneficial change without first actually putting people who desire change into governing, elected positions to do so. This points to the necessity of overcoming the apathy which results in “giving up on the oligarchic system” and non-participation in the democratic process of elections. All people in America now have Senator Bernie Sanders as the one option for significant change after his announcement of running for president. Those who feel strongly that change is necessary should support his campaign and enter campaigns for elective office as well, and in massive numbers in all 50 states. “Sitting it out”, recklessly suggested then practiced during the US’ 2014 mid-term elections, has to become universally and accurately perceived as the dead-end option. Instead of “sitting it out” in 2016, work to get Bernie Sanders, unless a man or woman better qualified to bring about necessary change enters the race, “sitting it in”: Sanders sitting in the White House Oval Office.